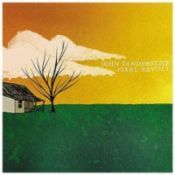 A couple of months ago John Vanderslice gave away (via his website) a completely remixed vesion of his 2005 LP Pixel Revolt. Carefully crafted, entirely in analog, by Scott Solter, the remix constitutes Vanderslice’s vision as seen through Solter’s filter. A longtime Vanderslice colleague, the document is an interesting take on both the material, as well as a look at the art of the remix sans the aid of technology. It’s quite impressive what Solter accomplishes with just instinct, a razor and tape. Have a listen to the tracks and their remixed counterparts below. For a great interview with Solter per the remix project, visit SixEyes. Los Angeles: John Vanderslice will be performing at Largo Thursday evening. The excellent St. Vincent (Annie Clark) opens. + Download Vanderslice through eMusic’s 25 Free MP3 offer. + Visit The Hype Machine for additional Vanderslice MP3s.